Ah, lobster rolls. The delicious fruit of New England makes me so happy. 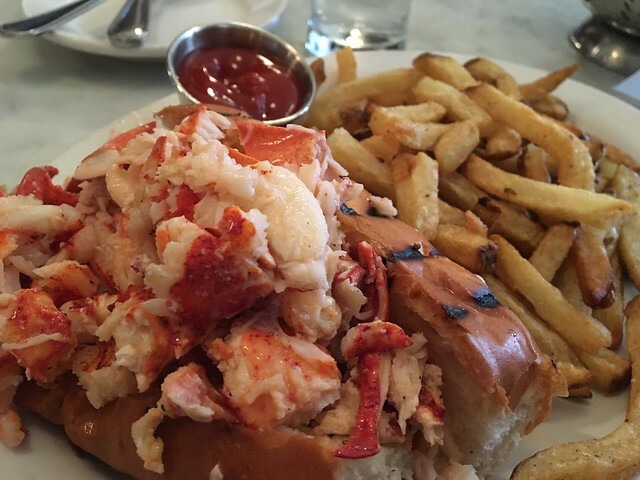 A lobster roll is a split-top bun filled with lobster meat soaked in butter. Some contain celery, scallions or mayo. 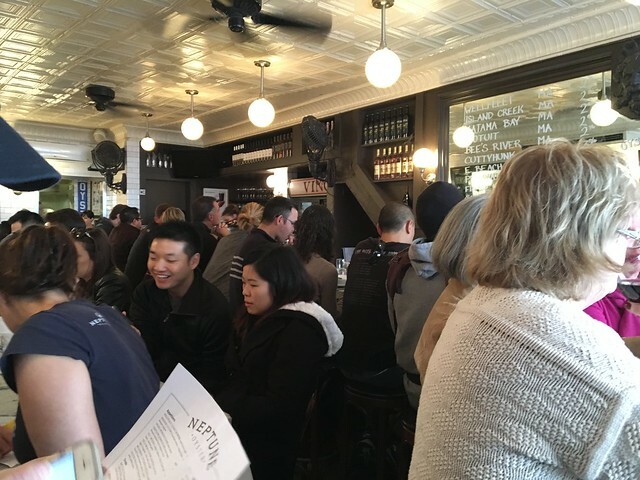 Neptune Oyster is known for having one of the best lobster rolls around. 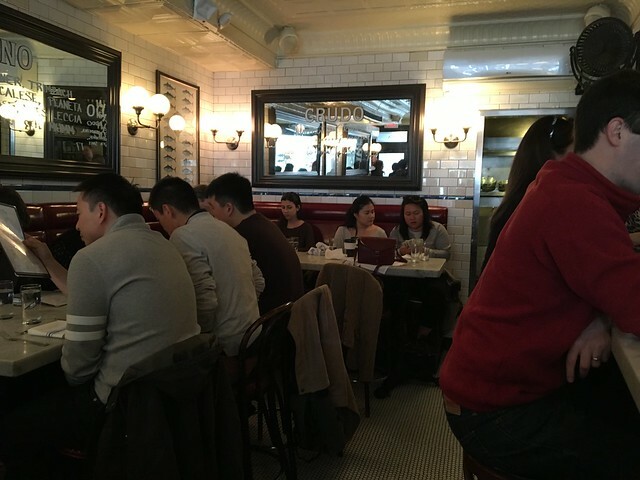 The oyster bar is very small, so we had a bit of a wait. We walked down the street and hung out for a bit before coming back. 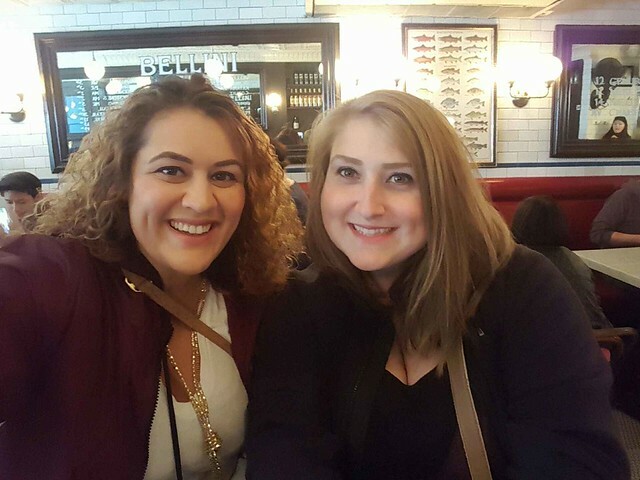 When our name was called, we were seated at the bar in very, very tight quarters. 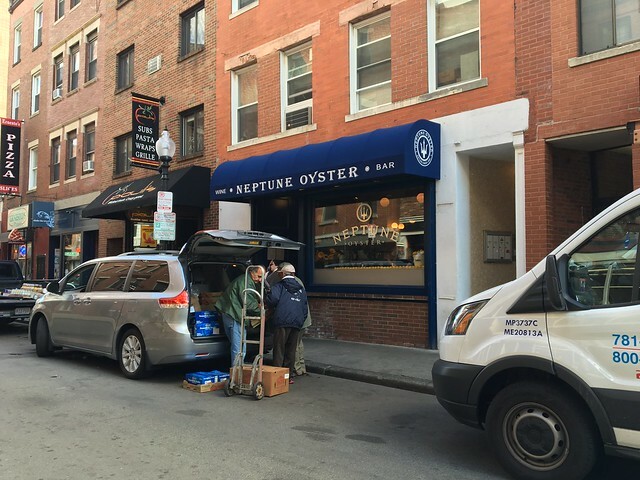 Neptune Oyster focuses on its raw bar, but it also serves up crudo, cioppino, scallops, clambake and, of course, that lobster roll. The Maine lobster roll comes with a toasted roll available hot with butter or cold with mayo. 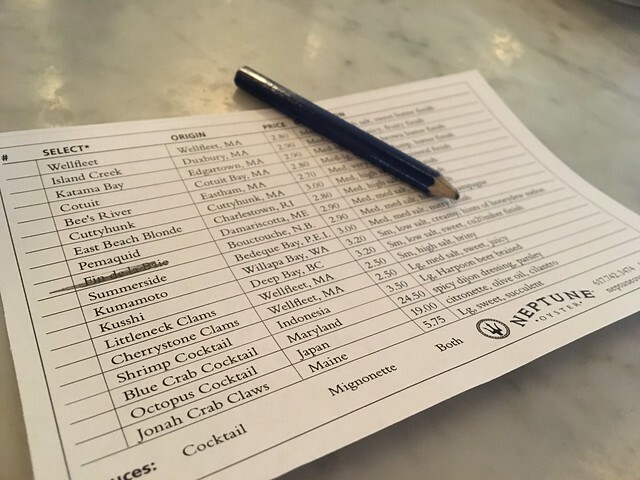 I ordered the hot with butter lobster roll, which comes in at $30! Much pricier than the average lobster roll. Dear god, it is delicious. It has huge chunks of lobster meat soaked in butter and this toasted bun is the vehicle to heaven. Yes, it's pricey. But would I pay that much for it again? Yes.